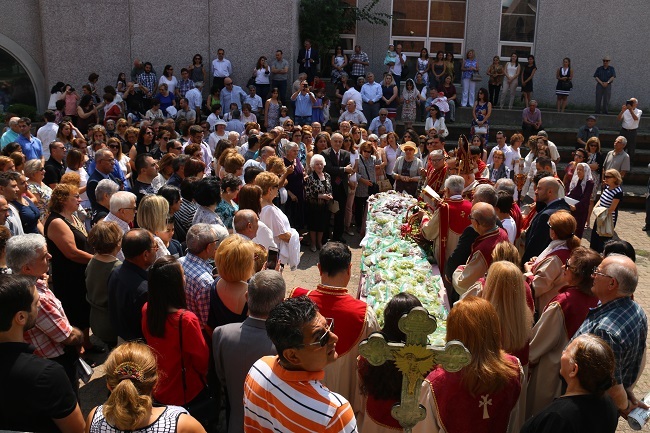 St. Mary’s Assumption Day & Blessing of Grapes Ceremony. The Divine Liturgy was celebrated by His Eminence Archbishop Avak Asadourian, Primate of the Armenian Church Diocese of Iraq assisted by Rev. Archpriest Fr. 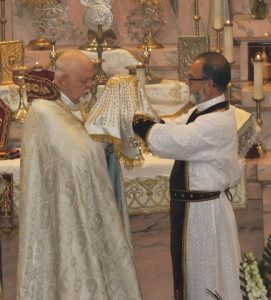 Zareh Zargarian, Vicar of the Armenian Church Diocese of Canada and Parish Priest of Holy Trinity Armenian Apostolic Church. 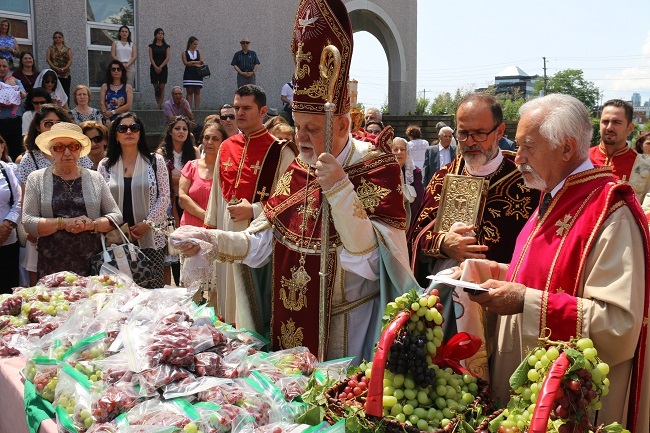 The blessing of grapes was followed outdoors then everyone enjoyed a BBQ lunch organized and served by the Parish Council, the Women’s Guild members and amazing volunteers of the Holy Trinity Armenian Church who assisted with set up and lunch preparation for a lovely day with friends and family.